The Embassy of the Czech Republic in Ukraine published the text of the Senate Resolution on the speech of the President of the Republic at the session of the Parliamentary Assembly of the Council of Europe on October 10, 2017, in which the Czech parliamentarians expressed disagreement with the words of the President of the Czech Republic Milos Zeman regarding the Crimea. With the statement of the President of the Republic, delivered at the plenary session of the Parliamentary Assembly of the Council of Europe on October 10, 2017 on the Russian annexation of the Crimea, which contradicts the foreign policy of the Czech Republic. With his statements, the president of the republic legitimizes aggression that violates international legal norms. about its resolution No. 545 from the twenty-eighth meeting of the tenth convocation, which, according to the position of the government, among other things, states that Crimea is in the future considered as part of Ukraine. Its separation from Ukraine is the result of Russian aggression and does not enshrine the international law. President of the Republic to respect the foreign policy of the Czech Republic and the principles of international law. Earlier, Milos Zeman, speaking at the Parliamentary Assembly of the Council of Europe in Strasbourg, said that Ukraine's loss of the Crimea is a "completed case," and proposed legalizing it by paying compensation to Ukraine "in financial form, or oil and gas." 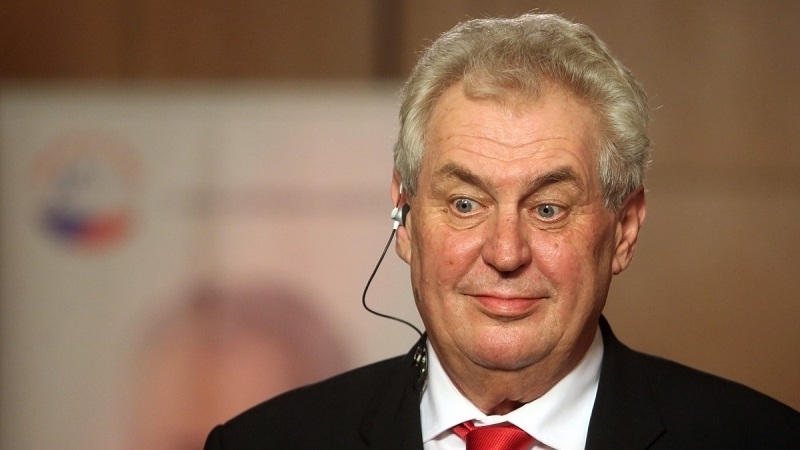 At the same time, the Czech Senate condemned the Czech President's statement and accused Zeman of trying to legitimize Russia's aggression against Ukraine.